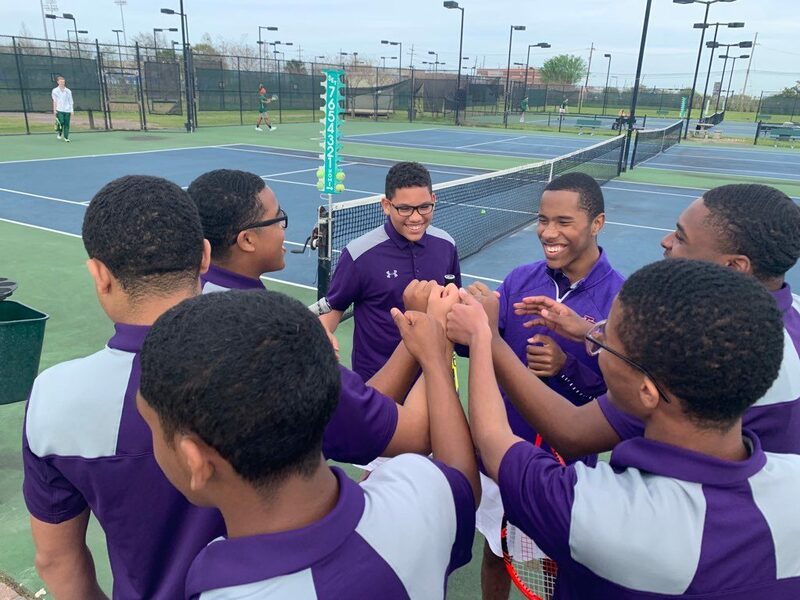 Following a hard fight, the Purple Knight tennis team lost 1 match to 6 against Ben Franklin High School last week. 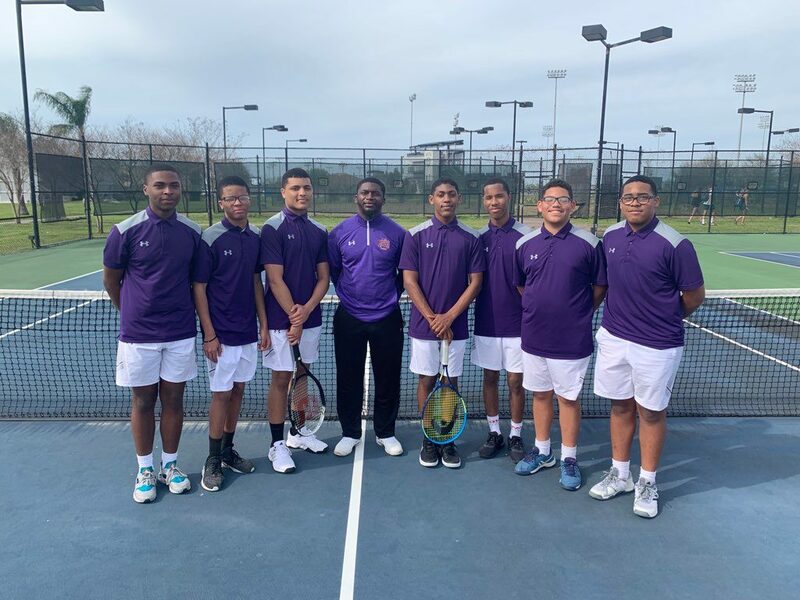 The team played 4 singles matches. 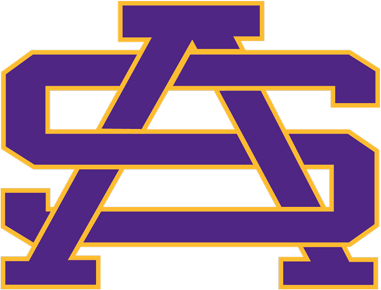 Players, Michael Griffin, Reginald Forstall, Ayden Walker, and Marc Barnes were competitive but came up just short. 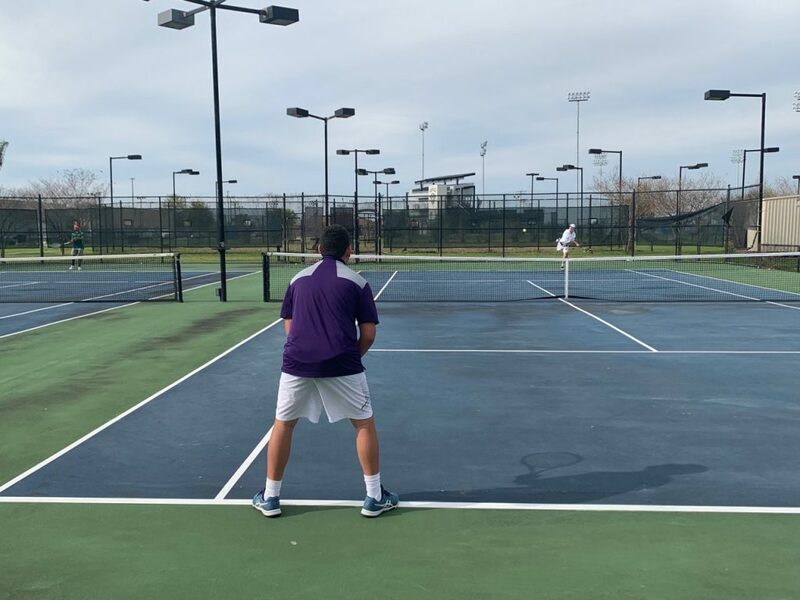 In doubles play, team members Michael Griffin and Jalen Poche won their match. 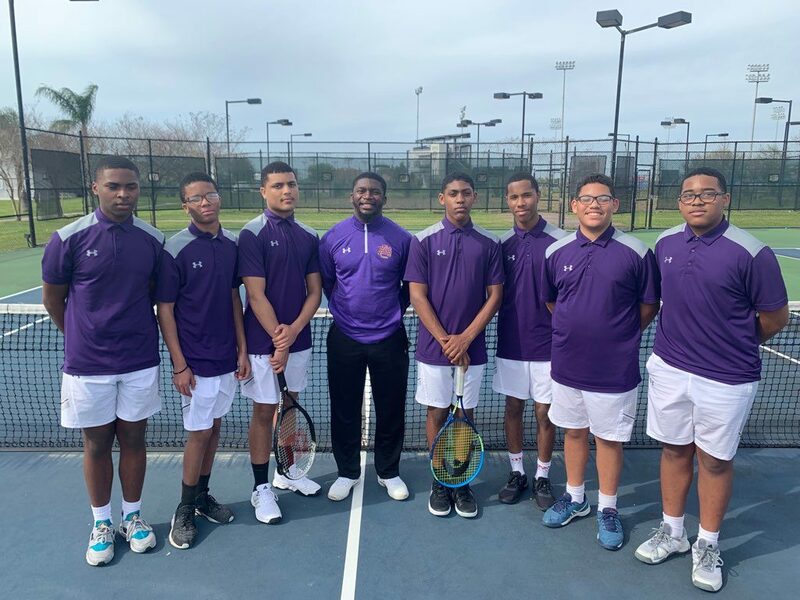 Doubles players Marc Barnes and Ayden Walker, Herman Davis and Randy Hamilton, played well but lost their matches. 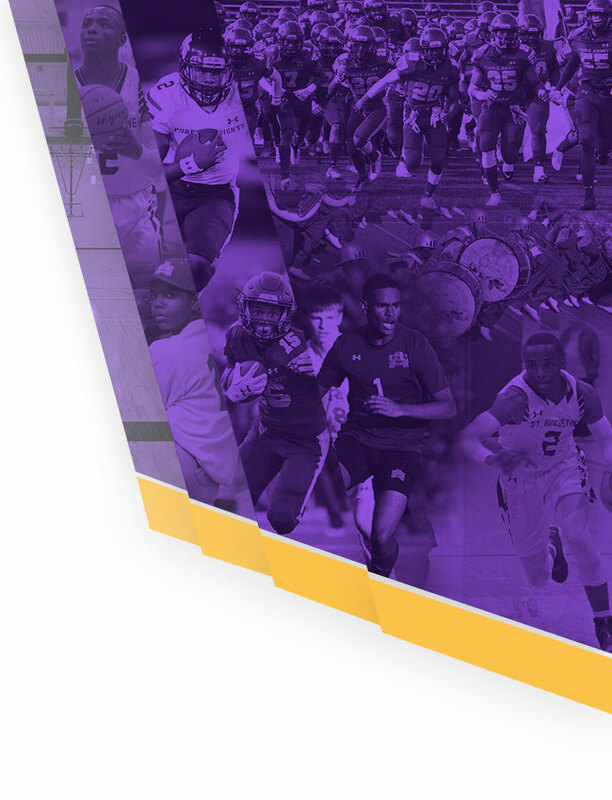 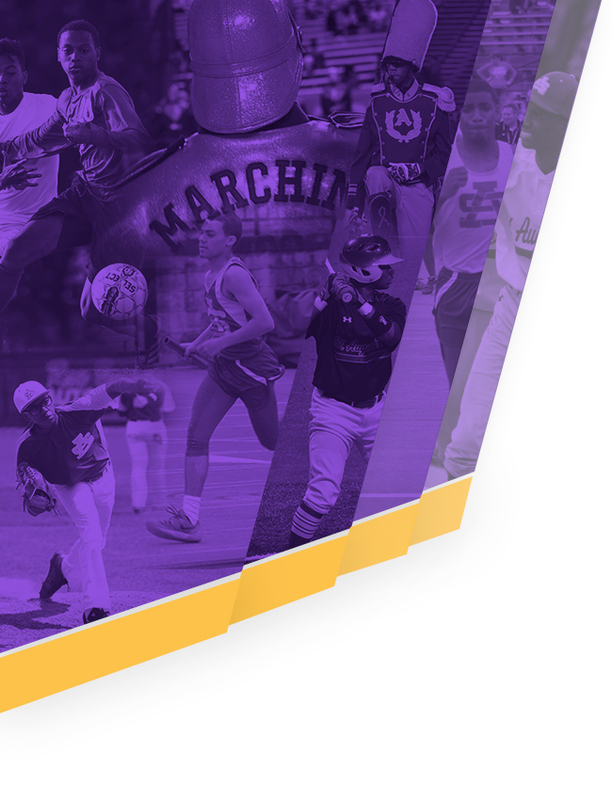 The Purple Knights will take on last season’s state runner-up, Brother Martin, at UNO at 4 p.m. on Thursday, March 21.